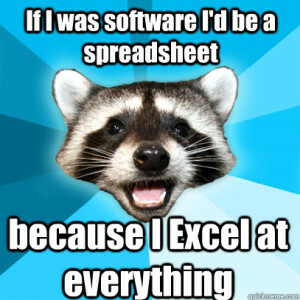 For the past few years, all of my finances have been managed through spreadsheets. Before I spend even one cent of my paycheck, I have every last bit alloted into various categories. As I spend, I update the budget. I know it sounds like a lot of work, but it pretty much manages itself, really. As some of you might know already, I like to automate, well, just about everything. Anything that can be offloaded to a scheduled job or whatever will free up extra resources for me to devote to other — more enjoyable — tasks. My latest goal is to do some integration with Google Sheets, a bit of coding, and a cheap wifi-enabled digital picture frame. The idea is to display an image of the spreadsheet, for quick and easy reference, in the picture frame. And then I would also include a “Last Modified” date and maybe a color-coded visual indicator to show when I am overdue on updating my budget. If I am able to get that working, I would then get super-ambitious and try to also integrate with my bank, since I utilize my current balance in my budgets to always ensure I haven’t missed any transactions. I know this project has limited appeal to most folks, but… Who cares? It should be fun. Lately I’ve been collecting barcodes. Not the ones off of cereal boxes, soda bottles, or that sort of thing… I’m not a weirdo! 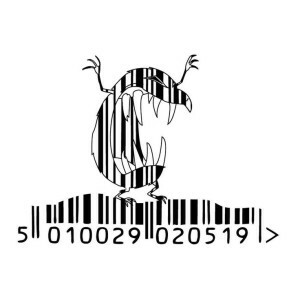 ;) But I have been collecting the store-generated barcodes from grocery stores, gas stations, etc. It’s interesting to see how what does or doesn’t get encoded and trying to think of ways to abuse it. Think of how much trust is put into, say, membership IDs, identity bracelets at hospitals, etc. If it scans, it must be legitimate, right? And are they just checking for a valid-looking barcode and logging it somewhere or is it actually doing look-ups in a database? There real fun, though is with sending unexpected input. After all, barcodes are typically just a quick and fast replacement for hand-keying values on a keyboard… So what happens if my coupon, membership card, etc. gets scanned and instead of a numeric-only barcode, I’ve encoded the message “KevinWasHere”? Or maybe encode some SQL-Injection commands in there? What if the encoded price is changed from 3.79 to -3.79…? I would assume that most POS systems have safeguards in place to limit access to the system via traditional means. Maybe it’s all just a touch-screen and no physical keyboard. That might help stop a cashier from using the register to check Facebook, for example, but who needs a keyboard when you’ve got a barcode scanner…? What happens if the barcode scanner is tricked into sending the Escape key? Even if the barcode scanner is programmed in a way that would generally make abusing it difficult, it’s very common for the barcode scanners themselves to be programmed and reprogrammed purely by scanning certain barcoded commands in a certain order. If someone gets access to your company’s “price checker” kiosk, what damage could be done? None of this stuff is worth jail time, of course. People should only consider messing around with this sort of thing if you have legitimate access to a system and want to ensure proper input validation is being enforced for barcode scans. That being said, there’s nothing stopping you from using apps on your phone or whatever to scan barcodes given to you on receipts, confirmations, etc. and getting a better idea for what makes them tick. Does it have your account number, DOB, or other potentially sensitive information encoded? How else would you know unless you check?